NASA’s Origins, Spectral Interpretation, Resource Identification, Security – Regolith Explorer (OSIRIS-REx), launched in September 2016 is on a mission to gather samples from the surface of asteroid Bennu and return them to Earth (see my previous reports here and here). It’s a huge undertaking, one which will take the vehicle on a journey of some 7.2 billion kilometres (4.5 billion miles). Part of this journey involved OSIRIS-REx looping past the Earth in September 2017, in a gravity assist manoeuvre design to increase its velocity by some 13,400 km/h (8,400 mph) to almost 44,000 km/h (27,500 mph), and swing it on to an intercept with the asteroid, which it will reach in October 2018. During this Earth flyby, scientists carried out an extensive science campaign, allowing them to check and calibrate the probe’s suite of science instruments. A part of this campaign involved testing the probe’s camera system, using it to take pictures of the Earth and Moon during September and early October. Several of these images, captured on October 2nd, 2017, were used by NASA used to create a to-scale composite image of the Earth-Moon system, which was released into the public domain on January 3rd, 2018 (seen above). At time the images were taken, the spacecraft was approximately 5 million km (3 million mi) from Earth – or about 13 times the distance between the Earth and Moon. It was created by combining pictures captured using blue, green and red filters, allowing it to present a true colour view of the Earth and Moon as they reflect sunlight. Looking at it, one cannot help by be reminded of just how small and fragile our place in the universe really is. In reporting on China’s space programme, I’ve frequently noted the growing ambitious nature of their endeavours. A mark of this is that in 2017, China mounted more than 20 successful launches – including some for foreign nations such as Venezuela, as a part of China’s desire to expand their commercial launch operations – matching Russia’s launch efforts, and sitting not that far behind the USA. At the start of January 2018, the China Aerospace Science and Technology Corporation (CASC) upped the ante, indicating that in 2018, they plan to carry out 35 launches through the year. 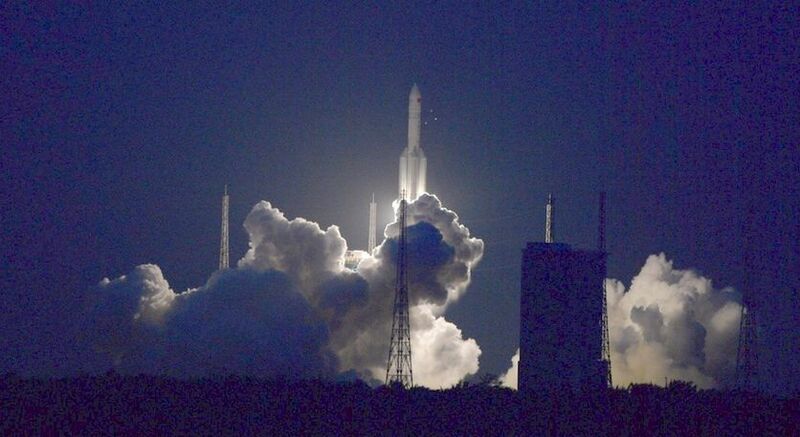 At the same time, CASC’s sister organisation, China Aerospace Science Industry Corporation (CASIC) indicated it would be carrying out at least 5 launches during the year – four of them in the span of a week – while the Chinese private sector corporation, Landspace Technology, indicated it would commence launch operations during the year. Like America’s SpaceX, Landspace plan to become a major force in commercial sector launch operations, initially with satellite payloads, but ramping to flying people into space in around 2025. One of the more notable missions China plans to launch in 2018 is the Chang’e 4 mission to the Moon’s far side. This is a two-phase mission, commencing in June 2018 with the launch of a communications relay satellite to the Earth-Moon Lagrange point. It will be followed in December by a lander / rover combination which will land on the lunar far side to commence science studies. It will mark the first attempt to carry out long-term studies on the side of the Moon permanently facing away from Earth – not to mention the first far side lunar landing. The CE-4 Relay satellite is required in order for communications to take place between Earth and the Chang’e 4 lander and rover. As the Moon is tidally locked with Earth, and always keep the same side pointed towards us, there is no way to have direct communications with any vehicle on the lunar far side. This is overcome by placing a satellite in the Earth-Moon L2 position, where it can maintain a steady position relative to the Earth and the Moon’s far side, enabling communications between the two, and keeping scientists and engineers on Earth in contact with the lander and rover. The lander / rover combination will explore part of the 180 km (112.5 mi) diameter Von Kármán crater, believed to be the oldest impact crater on the Moon. It lies within the South Pole-Aitken Basin, a vast basin in the southern hemisphere of the far side which extends from the South Pole to Aitken crater. The crater is of general interest because it contains about 10% by weight iron oxide (FeO) and 4-5 parts per million of thorium, which can be used as a replacement for uranium in nuclear reactors. In addition, the South Pole-Aitken Basin – one of the largest impact basins in the solar system (about 2,500 km / 1,600 mi across and some 13 km / 8.1 mi deep) – also contains vast amounts of water ice. These deposits are believed to be the result of impacts by meteors and asteroids over the aeons, which deposited ice within the basin, which lies in almost permanent shadow. The water deposits will be part of Chang’e 4’s studies – China has already announced its intent to establish a human mission on the lunar surface, and relatively easy access to water ice could be a critical part of sustaining a human presence there. To carry out their studies, both the rover and the lander will carry a range of science instruments and experiments, including systems supplied by Sweden, Germany, the Netherlands and Saudi Arabia. In addition, the lander will include a container with potato and rockcress seeds, together with silkworm eggs to see if plants and insects can survive in the lunar environment. It is hoped that if the eggs hatch, the larvae would produce carbon dioxide, while the germinated plants would release oxygen through photosynthesis, allowing both to establish a simple life-sustaining synergy within the container. If successful, it might allow larger biotic systems to be developed and used to augment the life support systems in a lunar base while providing additional foodstuffs. 2018 should also mark the return to flight of the Long March 5, China’s most powerful launch vehicle. This entered service in November 2016, but flights were suspended in 2017 following the failure of the vehicle’s second launch in July of that year. 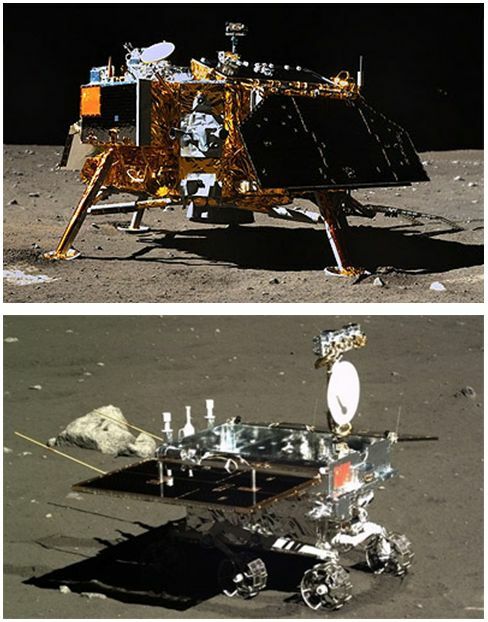 Long March 5 is critical to China’s ambitions, as it will be the launch platform for the Chang’e 5 (2019) and Chang’e 6 (2020) lunar sample return missions, the modules to be used in a planned space station, due to start in 2019 with the launch of Tianhe unit, and boost the Mars Global Remote Sensing Orbiter and Small Rover mission to the red planet in 2020. The 2018 return-to-flight of the Long March 5 will likely involve placing a Dongfanghong-5 (“The East is Red”) communications satellite, which will be placed in low Earth orbit. A core part of CASC’s launches – 10 in all – will be related to expanding China’s GPS network, the BeiDou (“Northern Dipper” – named for the Big Dipper in the constellation Ursa Majoris) Global Navigation Satellite System (GNSS). The initial constellation of 10 BeiDou navigation satellites became operational in 2010, providing domestic satellite navigation services to China. In 2012, the system was expanded to offer services to customers in the Asia-Pacific, while in 2014, the system became part of the World-Wide Radionavigation System (WWRNS), providing navigation assistance for shipping right across the Asian Pacific region. Once completed, BeiDou will comprise a constellation of 35 satellites in medium Earth orbit, and navigation services through it will be offered world-wide alongside America’s GPS system, Russia’s GLONASS and Europe’s Galileo programme. Meanwhile, CASIC plan to carry out four launches of their Kuaizhou (“speedy vessel”) launchers. Four of these will be the Kuaizhou-1A rockets, capable of lifting up to 1/2 a tonne to low Earth orbit (LEO), and the fifth being the new Kuaizhou-11, able to lift a tonne to LEO. Based on an anti-satellite launch system (ASAT) and interceptor rocket using solid propellants, the Kuaizhou family is designed to be a low-cost launch system with a rapid turn-around launch capability requiring minimal ground support. CASIC market KauiZhou launches via its ExPace subsidiary, which is also responsible for manufacturing the launchers. This heavy schedule again underlines China’s rise as a major player in both space launches – national and commercial – and in China’s goals for expanding its space capabilities both in Earth orbit and beyond. Should all of the planned goals be achieved, it will also mean that China is likely to outstrip the United states in the total number of launches by a single nation in a year. In October 2017, I wrote about some of the more sensationalist press reports concerning the forthcoming re-entry of China’s Tiangong-1 orbital space laboratory. These came about in the press and on YouTube after astrophysicist Jonathan McDowell of Harvard university released a statement that indicated a loss of attitude control coupled with increased friction against tenuous atmospheric gases has resulted in a sharp decline in Tiangong 1’s altitude, and the craft could re-enter the Earth’s atmosphere in a matter of months. While McDowell’s overall analysis was correctly – Tiangong 1 would re-enter Earth’s denser atmosphere some time in the 5-6 months from the date of his report, and some of the 8.5 tonne vehicle could survive that re-entry – most of the tabloid reports following it wildly over-egged the severity / risk of Tiangong 1’s descent, with some suggesting it would occur in “days” of McDowell’s report, and many placing emphasis on elements of the vehicle striking a major population centre – neither of which were really that accurate. 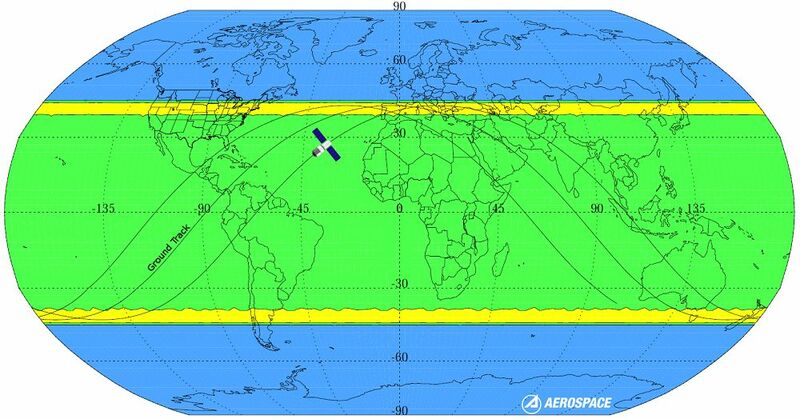 We have been continuously monitoring Tiangong-1 and expect to allow it to fall within the first half of this year. It will burn up on entering the atmosphere and the remaining wreckage will fall into a designated area of the sea, without endangering the surface. This “designated area” will most likely be the South Pacific, which has become the traditional “burial ground” for spacecraft which may in part survive re-entry into the Earth’s atmosphere. In making the comments, Zhu gave every indication that the Chinese have a greater degree of control than had been previously stated. 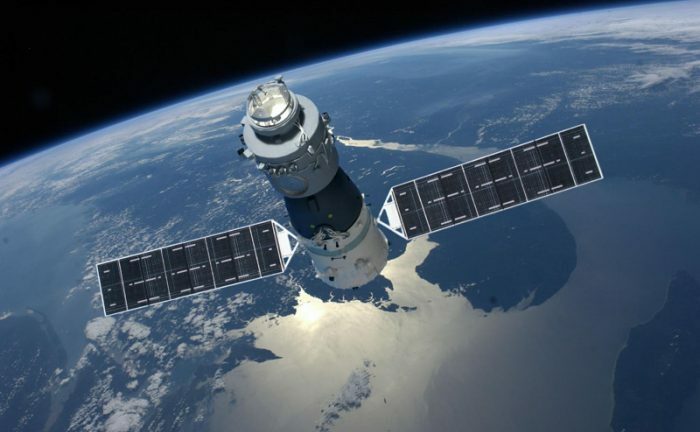 For example, in late 2017, Wu Ping, the deputy director of China’s manned space engineering office, seemed to suggest her country could no longer guarantee they had control over Tiangong-1 – which further fuelled reports of it “imminent” and deadly return. The hunt for exoplanets is a big one. Such is the data gathered by the Kepler Observatory, “citizen scientists” have been asked to go through it to help identify possible planets orbiting distant stars. One of these groups of amateur astronomers – the Exoplanet Explorers – was established in April 2017, and gained television air-time in Australia. As a result of this exposure, people around the world joined the project (see my space Sunday report from April 2017 here), leading to over 1,000 potential additional candidate stars being identified in a relatively short period of time as people studied the Kepler K2 mission catalogue of over 280,000 stars. 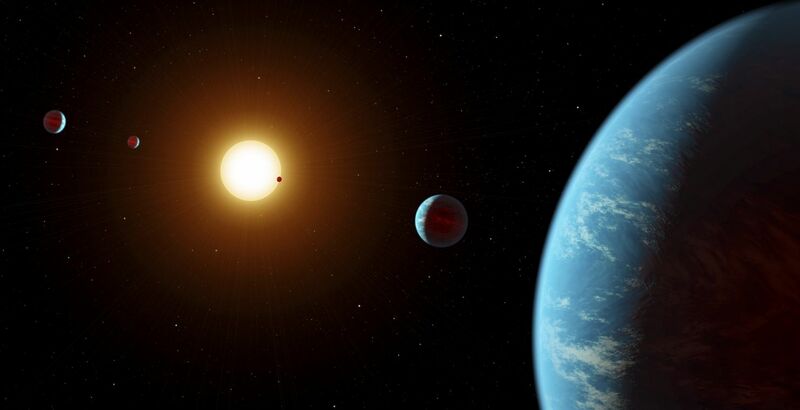 It has now been confirmed that one of the stars studied by the Exoplanet Explorers – K2-138, a main sequence star some 620 light-years from Earth and slightly smaller and cooler than the Sun – has at least five exoplanets orbiting it. Four of these were discovered as a direct result of the Stargazers broadcast featuring the Exoplanet Explorers group, and marked the first time a multi-planet system had been found entirely by crowd sourcing. A fifth planet was subsequently confirmed within the system – and the data suggests there might be a sixth lurking. Confirmation of the system was given in a new paper published on January 11th, 2018, citing all of those involved in the discovery. The outer four planets are thought to be “mini-Neptunes” – gaseous worlds small than our own Neptune – with the innermost a rocky world larger than Earth. As with many other planetary systems, all five planets are orbiting very close to their parent star – the innermost and smallest doing so once every 2.35 terrestrial days, and the outermost every 12.76 terrestrial days. This puts all five of them well inside the orbit of Mercury when compared with our own solar system, and means that all five experience very high temperatures – potentially ranging from around 425oC (800oF) for the outermost, to 980oC (1800oF) for the innermost – so the chances of any of them bearing life would seem slim. What is interesting about K2-138’s planets is that they are all in near resonance to one another, with a ratio of 3:2 or 1.5 – meaning each planet out from the star takes 50% longer to complete an orbit of its parent star than the previous one. It is the first time such an orbital resonance has been so well maintained throughout an entire planetary system. 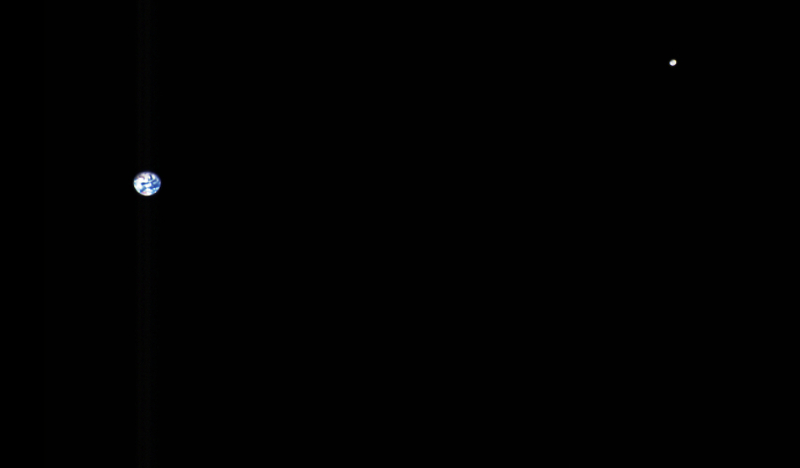 It indicates that not only do all five planets exert a gravitational influence over one another, but that it is possible that all five originated further away from their parent star, but their respective influence on one another, coupled with the star’s gravity, encouraged them all to calmly migrate to orbits much closer to their parent. The system is now the subject of further studies to try to determine whether or not the 6th planet indicated by the data also exists.